98651 Yatming Road Signature - Digital Gas Pump Studebaker. 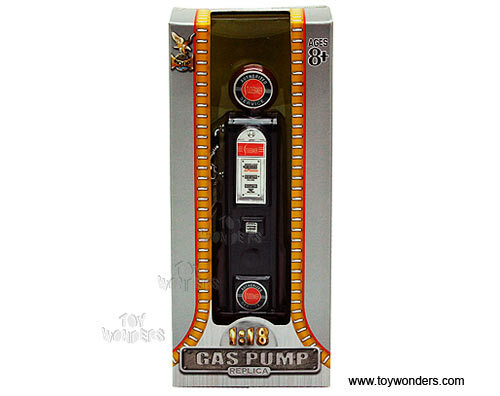 1:18 scale diecast vintage car gas pump. 5.25" H diecast gasoline pump replica. Contains small detachable parts. 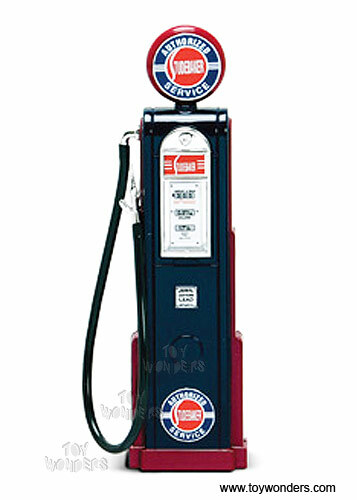 This antique fuel gas pump was an iconic part of service stations throughout America in the 1940's through late 1950. Manufactured by Yat Ming. Vintage gas pump for scale model cars. 12 pcs per inner box. Individually packed in a box. Box size: 3"W x 7.25"H x 1.75"D. This accessory is often used in 1/18 scale dioramas. To see all gas pumps (click here). To see more Yatming die-cast collector models (click here). Sold in lots of 12 pcs.